HSIN JUI HARDWARE, established in 1980, is a manufacturer specialized in producing cold forging special parts and customer-oriented products, product usage across the automotive parts, building bushing, unique doors and windows eccentric fits, bicycle parts and spur gear fit and so on, the reputation of quality is well-known worldwide. In the early stage, General Manager Alan Hsu, with limited capital and equipment as well as his unlimited creativity and previous experience in his career life. He set the cold-forging as the core competency, has expanded the skills and knowledge on the forging techniques, built up a strong base for HSIN JUIi’s cold forging technique and led the company to create its unique position in professional manufacturing of special parts. In 2017, HSIN JUI has also certified in ISO/TS 16949, which is a new milestone for the quality management. Times keep changing, so do customers’ demands. HSIN JUI gradually expands the tooling development and processing team, accumulated the design experience through the years, providing fastest response to customer’s need or suggestion reducing the production cost. Furthermore, adding up tapping and turning sectors, one-stop process line offers the guests the most stable quality. Three elements that support HSIN JUI to move forward are continuous R&D of distinctive tooling designs, precision, and better quality of products, all which help create the most significant value for customers. Hsin Jui will continue to offer more advanced and high-quality products and service in the future. Company name: HSIN JUI HARDWARE ENTERPRISE CO., LTD. Product usage: Automotive parts, windows / door fits, bicycle parts, spur gear. Factory Address: 51 Ding Hu 1st St, Gueishan, Taoyuan, Taiwan. Striving for precision and compliance to customers’ demands. Providing highest quality products is our commitment. 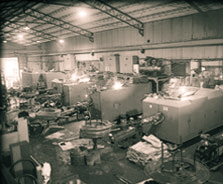 1981Factory expanded and relocated to New Taipei City. 1982Set new goals from special rivet to special, customize-oriented parts. 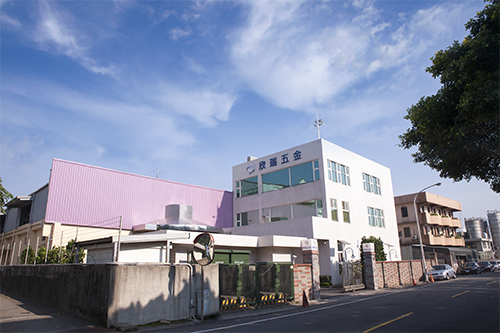 2013Factory expanded and relocated to Tao Yuan City. 2017Certified to TS-16949 (IATF no. 0262529). 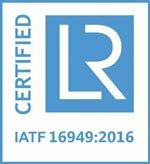 2018Certified to IATF-16949:2016 (IATF no. 0324333). Hsin Jui Hardware Enterprise Co., Ltd.